Wayne Bovenschen submitted this photo and caption. 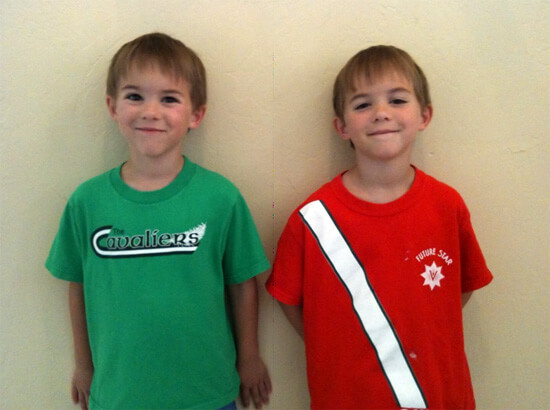 The attached photo is of Brendan and Collin sporting their DCI shirts for the summer. The twins are the sons of snare drummers Tricia Bovenschen (Northern Aurora 1985-88, Velvet Knights 1989) and Wayne Bovenschen (Cavaliers 1982 and Phantom Regiment 1983). They'll age-in in 2018.